I wrote elsewhere that my successes taught me more although my failures caused me to learn more. Coming off a year of a short-lived attempt at building a data-curated commerce engine, the need to learn more has never been more clear. I am not the kind of person who locks himself up in a room and emerges after a period of learning and/or contemplation. My best thinking is done by engaging with people, not just content. For me, the best content are people and their insights. 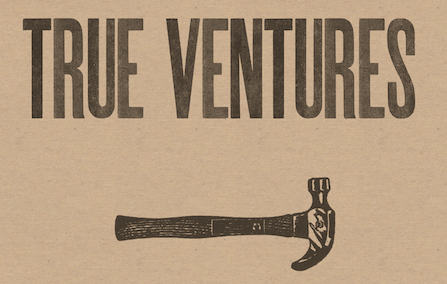 My search for the right place to learn was quickly ended by the remarkably insightful folks at True Ventures. Since their founding in 2006, they have been focused at creating a unique and strong trust-fabric between founders and the firm. In fact, the word ‘firm’ is a bit of a misnomer, True is an intensely collaborative environment where egos haven’t formed silos of operation and partner founder relationships are not transactions.I am honored and excited to have a chance to learn in True’s supportive environment. In the next one year I will be focusing on engaging with and learning from people. The fastest learners and consequently the best teachers (for me) are founders. The good ones have this uncanny ability to freeze everything and advance the world along a singular axis of their vision of a product, a technology, or a need that has not been found yet by others. At True Founder Camp I had an opportunity to meet and talk to many True founders. I’d love to engage further and be of service wherever I can. My time is yours. There are three parts to this apprenticeship: a) working for current founders in the early stage of startup formation, b) working for founders scaling teams and operations towards a profitable company, and c) finding/developing new founders-to-be. My areas of interest are anchored by innovations in infrastructure or novel applications of such infrastructure especially mobility, network/cloud computing including hardware systems, and data intelligence. Startup teams applying novel data manipulation and machine learning to new industry verticals, building sentient hardware that is responsive to its environment and peers, and delivering software infrastructure services to developers are of high degree of interest. If you are building software, hardware, or protocols that you intend to sell to data centers, service providers, or enterprise to solve meaningful problems for these customers, I would love to figure out a way to be helpful. A particular focus of mine with early stage teams is assessing if you are taking sufficient risk or are taking the right risks as early as possible in order to solve the right problems for your users/customers. In this period of learning, I need to revisit what I knew, fertilize it with what I learnt, and gear up for the next decade. Bevel up! A man and his shave. So you want to join an accelerator? What does mobile mean to me?